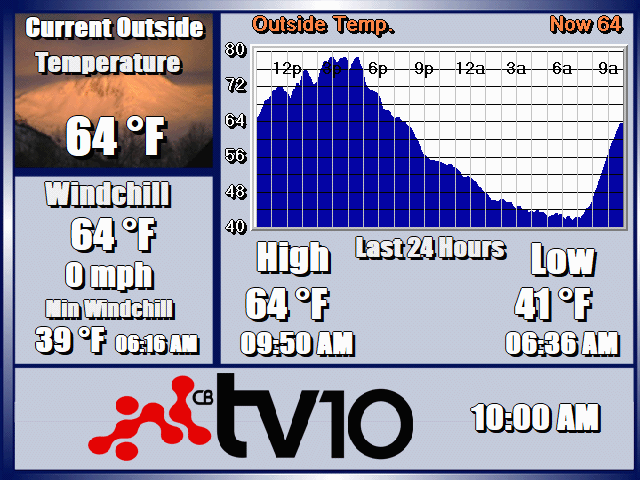 Crested Butte weather and daily forecasting for the entire Gunnison Valley. Updated daily with real-time web cameras, travel alerts and radar. Outside TV delivers high quality compelling storylines focused on a wide variety of sports including: skiing and snowboarding, surfing, climbing, mountain biking, kayaking and more. 4/19: An even milder southern surge. 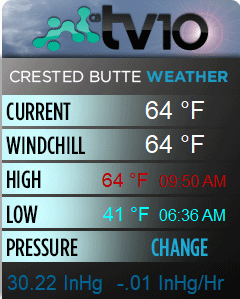 Crested Butte Weather and Gunnison Valley Daily Weather Update-For Today- 4/19:This mild southwestern flow is pushing up against a ridge dropping down the front range and we are seeing a dry slot form. This will allow warm air from the south to surge into the area today and we will see highs climbing 5-10 degrees over yesterday. This combined with a fairly warm night will mean accelerated melt so keep an eye on water levels. Temperatures: Lows for CB hit 21 while Gunnison held to 26 even with the clear skies. Highs will reach for 50 in CB and 57 in Gunni by the afternoon. Lows tonight will stay in the high 20’s and maybe higher with this warm air pooling over our area. Outlook: We are looking at a pattern for the weekend where we are sandwiched between this ridge in the east and the warm southwestern flow slowly giving way to another western trough. Look for sunny skies through Saturday morning with high clouds sifting in from the west with increasing moisture meeting the warm air and forming some convective afternoon thundershowers. The same mix of partly cloudy days and scattered cells will dominate through the weekend and until Tuesday. Overnight lows will remain dangerously warm so skiers beware and this will increase the melt. 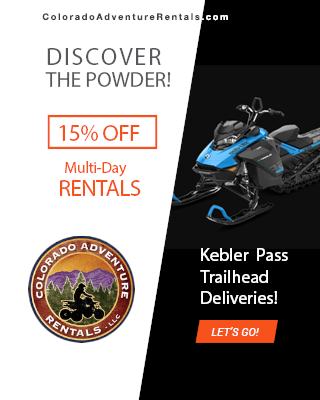 Crested Butte Television shared a post. © All rights reserved 2019 - Crested Butte Weather Television.